The Corporate Secretaries in GPG’s network of corporate governance professionals have a wealth of experience as Corporate Secretaries in private and public companies and are ready to help GPG’s clients to meet their corporate governance service needs. They are seasoned Corporate Secretaries who can customize best corporate governance practices that they have successfully implemented at their previous corporate employers to serve the governance needs of Boards of Directors of private and public mid-market companies and not-for-profit corporations. Paul Marcela is the President of Governance Partners Group and leads GPG’s group of professional and experienced Corporate Secretaries. He is well connected in the corporate governance community and has a wealth of corporate governance experience in private equity portfolio companies, a large private global company and several not-for-profit organizations. Paul Marcela has been a key player in private company governance throughout his career. 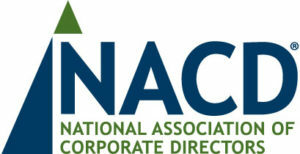 In addition to having served as Corporate Secretary of private equity portfolio companies and a large private company, Paul was a member of the Board of Directors of the Society for Corporate Governance, the premier association of corporate governance professionals, and the inaugural Chair of the Society’s Private Companies Committee. He has also been a member of the Society’s national Educational Programs and Membership Committees and has been the President of the Society’s Detroit Chapter and a member of the Advisory Council of the Society’s Southeast Chapter. Paul is also the Corporate Secretary and a member of the leadership team of the Private Directors Association, an organization that is devoted exclusively to private company corporate governance. Paul has been a frequent speaker at Society programs and at webinars featuring corporate governance topics and has frequently been an author regarding corporate governance issues. Paul’s practical private company Corporate Secretary experience coupled with his close connection to the Society for Corporate Governance and the Private Directors Association makes him a highly seasoned corporate governance professional. Improved the quality of Board meeting minutes and processes related to Board resolution approval, Board meeting logistics and corporate record maintenance. As Secretary to the Boards of Directors of Cerberus portfolio companies and their subsidiaries, Paul significantly enhanced legal entity corporate governance at each company and gained invaluable experience regarding corporate governance issues affecting private equity portfolio companies. Paul was Associate General Counsel & Assistant Secretary of Dow Corning Corporation, a substantial global specialty chemical company that had been privately owned by The Dow Chemical Company and Corning, Incorporated (currently a wholly-owned subsidiary of DowDuPont). Paul was at Dow Corning between 1985 and 2009. Dow Corning had consistently been managed and operated as though its stock was publicly held. Dow Corning’s Board consisted of an equal number of high-ranking executives of Dow Chemical and Corning along with Dow Corning’s Chief Executive Officer. Dow Corning’s two public company shareholders had consistently required Dow Corning to maintain independent management and operational staff, facilities and operations and to adopt financial and accounting standards, policies and procedures that are similar to those employed by publicly traded companies. Served as Secretary to the Board of Directors, the Board’s Audit, Finance and Compensation Committees and the Company’s Management Finance Committee. Led legal entity management activities for the Company’s Latin American, Canadian, European and Asian subsidiaries, including an international legal entity re-structuring project. As a result of his substantial and long-term corporate governance role at Dow Corning, Paul has amassed an extraordinary amount of experience with corporate governance issues that arise in large private companies and their subsidiaries and affiliates. In particular, as a result of his involvement in the resolution of the largest mass tort litigation and Chapter 11 Bankruptcy proceeding in history, Paul experienced a unique opportunity to address the complicated corporate governance issues that arise when a corporation becomes immersed in a corporate crisis arising from highly charged global mass tort litigation and related Chapter 11 proceeding. Governance issues present themselves in organizations other than for-profit corporations. Paul has consistently performed leadership roles in the governance of not-for-profit organizations. In addition, Paul had served as a Trustee and Secretary of the Dow Corning Foundation, a corporate charitable foundation, for many years. Paul also served as Chair of the Board & President of the Midland (MI) Country Club and led the Club’s Board of Directors and membership to consider, approve and implement a recapitalization of the Club and a multi-million dollar complete reconstruction of the Club’s facilities. This initiative resulted in a revitalized Club for the membership, its corporate shareholders and the community at large. In addition, Paul has served in leadership positions in many professional associations, and community boards and councils. Paul has implemented step change improvement initiatives in every not-for-profit organization leadership position that he has led. 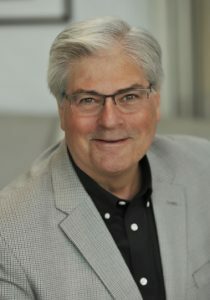 His substantial organizational leadership experience provides him with a unique understanding of the governance needs of many different types of not-for-profit organizations, such as colleges and universities and arts and other cultural organizations.